Daily Musings: Why we Should be Grateful to our "Tribe"
Why we Should be Grateful to our "Tribe"
For Americans, Thanksgiving is only three days away. Many of us have not accomplished all of our goals. Some of us have completed few of them. In that case, why should we be grateful for continuing struggles? Perhaps we should look at it this way: we might have even more challenges if we hadn’t been helped along the way by numerous people. Yes, there are plenty of selfish individuals out there who mean to harm us. But, nobody succeeds in a vacuum. The “Wizard of Menlo Park”, New Jersey, held the record for the most US patents until the early 2000’s: somewhere around 1,200. What he is most known for, naturally, is creating the first long-lasting filament for the light bulb. This wasn’t done overnight. It took a team of about 200 people a long time to experiment with a variety of materials in order to come up with a winner. However, none of them were given recognition. 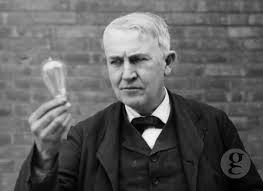 Edison took sole credit for, and registered the patent for, everything created in his laboratory. Edison, in turn, improved on Alexander Graham Bell’s invention, the telephone. Since Edison was hearing-impaired, as were Bell’s wife and mother, he was able to improve the clarity of the sound. This founding father was one of the wealthiest men in America. He had his fingers in so many pies; we couldn’t cover them all in one blog post. However, I’d like to concentrate on his journalism talents. 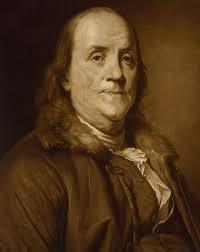 Franklin worked in the newspaper business from his youth. In time, he owned 75% of all the newspapers in the country. He was obviously a powerful man who wouldn’t seem to need any assistance to accomplish his dreams. From 1732-1758, Mr. Franklin published an annual almanac under the pen name, Poor Richard. It’s speculated that people would no more leave their house without this almanac than folks today would leave their house without a GPS device. Readers looked to it for maxims, poetry, weather predictions, and astrology. 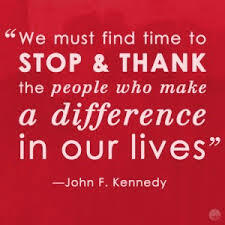 Have you thanked your tribe lately?